From 1962 to 1968, Andy Warhol’s original New York City studio was known as The Factory (although his later studios were known as The Factory as well). The rent was reported to be about $100 a year at the time. The space was loft-like and in a bit of disarray, it was originally a hat factory. The original studio was often referred to by those who frequented it as the Silver Factory. 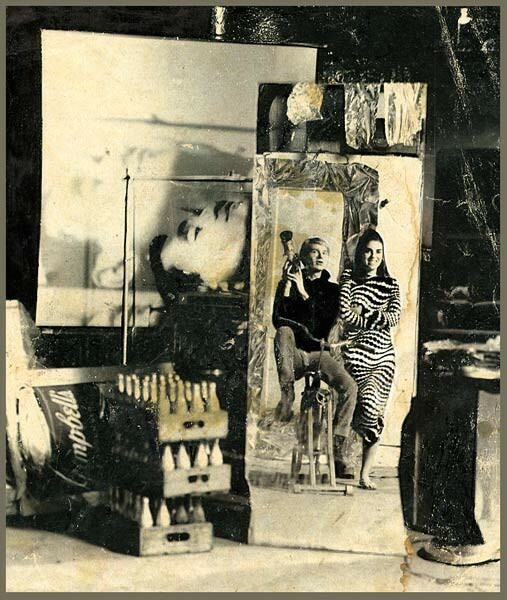 It was covered with tin foil and silver paint, decorated by Warhol’s friend Billy Name, who was also the in-house photographer at the Factory. The original space was located on the fifth floor of 231 East 47th Street – across the street from the YMCA and below an antiques place called Connoisseur’s Corner (Gerard Malanga, Archiving Warhol: Writings and Photographs (NY: Creation Books, 2002). Bond New York, Silver Factory Perfume (Here). The Andy Warhol Monument near Union Square, NYC (Here). Andy Warhol’s Silver Clouds, 1964 (Here). 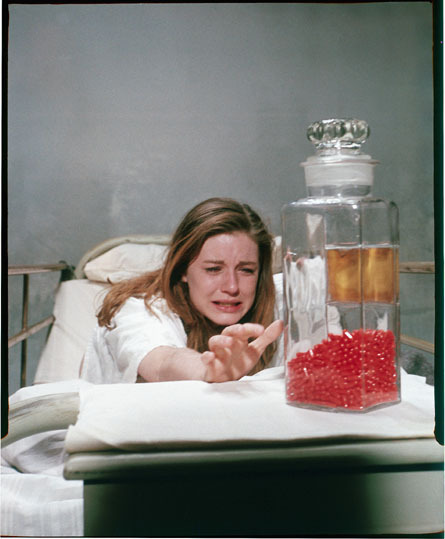 Colorized photo of Warhol in The Silver Factory (Here). The entourage at a party in the original factory (Here). Edie Sedgwick and Andy Warhol at The Factory (Here). Mostra Sesc de Artes, Sao Paulo, Brazil. © The Andy Warhol Museum, Pittsburgh, PA, a museum of Carnegie Institute (Here). Edie Sedgwick answering phones at The Factory, Stephen Shore (?). One of Andy Warhol’s first checks, signed originally as his Polish name – Andrew Warhola and sometimes as André Warhola. During the sixties, through the various iterations of The Factory, such visionaries as Truman Capote, Mick Jagger, Jim Morrison, David Bowie, Bob Dylan, Paul Morrissey, Lou Reed, Betsey Johnson, and William Burroughs were known to frequent the space. 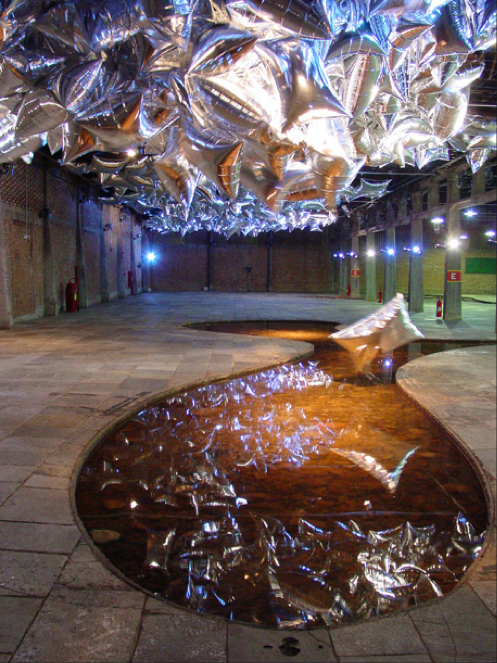 Warhol would often bring in silver balloons to drift around the ceiling. Warhol first saw the decorating style at Billy Name’s apartment and asked him to replicate the space age colors and metallics in his new loft space. To Warhol, the silver represented the decadence as well as the frivolous “glamour” of the early sixties. In fact, it was sort of a joke – to have a room covered in crumbling pants, glazed over with a shellac, and pretending to be something it was not. The studio was filled with fractured mirrors, spray paints, and tin foil. Warhol preferred to block the natural light in the studio as well, giving the space a strange reflective lighting. In the words of David Bowie, “Life’s a Circus / It’s not fair / Life is a hard road/ When you’re not there / At the fair”. In all honesty, I don’t really know to what he’s referring, but life sometimes does get downright comical, confusing, freakish, and entertaining (all qualities of the circus). Sometimes life even smells like caramel corn, cotton candy, and peanuts. Life should never be taken too seriously, and clowns, whether satirically acting out a gag, taking a pie to a face, or pretending to be forlorn, remind us to laugh . A clown always plays the fool for us – how nice of them. 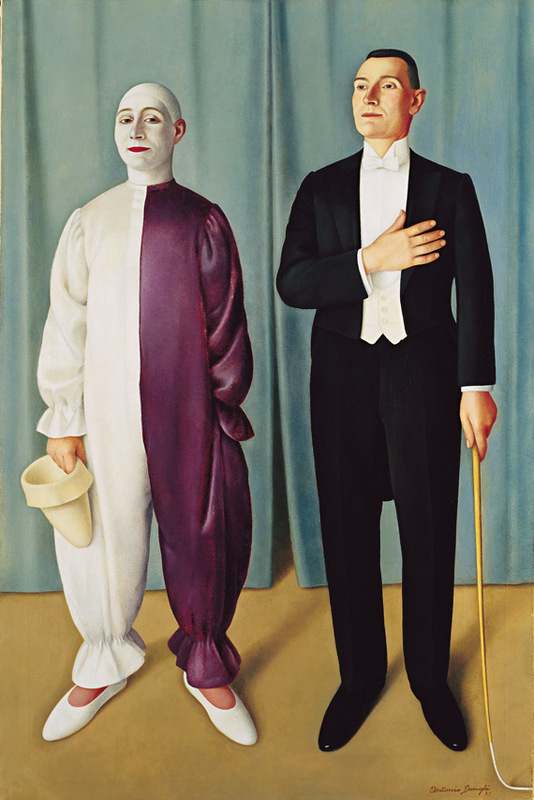 Antonio Donghi, Circus (Circo equestre), 1927, Oil on canvas, 150 x 100 cm, Gerolamo and Roberta Etro, Milan. Some say that Donghi, although employed at the time by the Fascist government, drew this painting as a scathing caricature and a slight act of rebellion. The Fratellini Family was a famous European circus family in the late 1900s and 1920s. Their famed performance in Paris, Montmartre, France, after World War I at Cirque Medrano was so successful that it sparked a strong resurgence of interest in the circus. 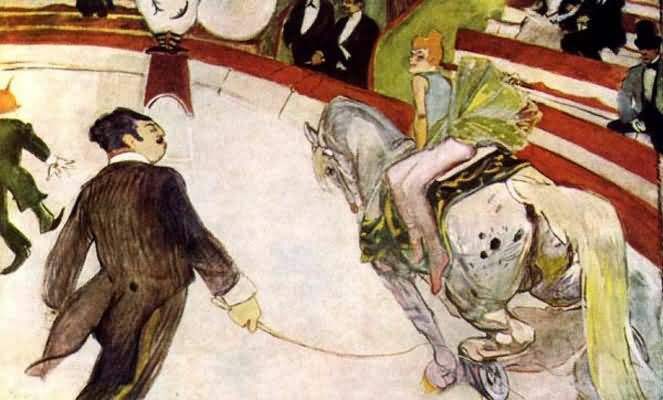 Henri de Toulouse-Lautrec, the post-impressionist French painter often frequented that very circus. The famous clowning family used their shows to attract Paris’s Intellectual Elite and leftist idealists. Their father, Gustavo Fratellini (1842–1905), was an Italian patriot rebel who took part in the unification of Italy. Fratellini Brothers, both in and out of costume. Images from Wikipedia Commons and Here and Here. 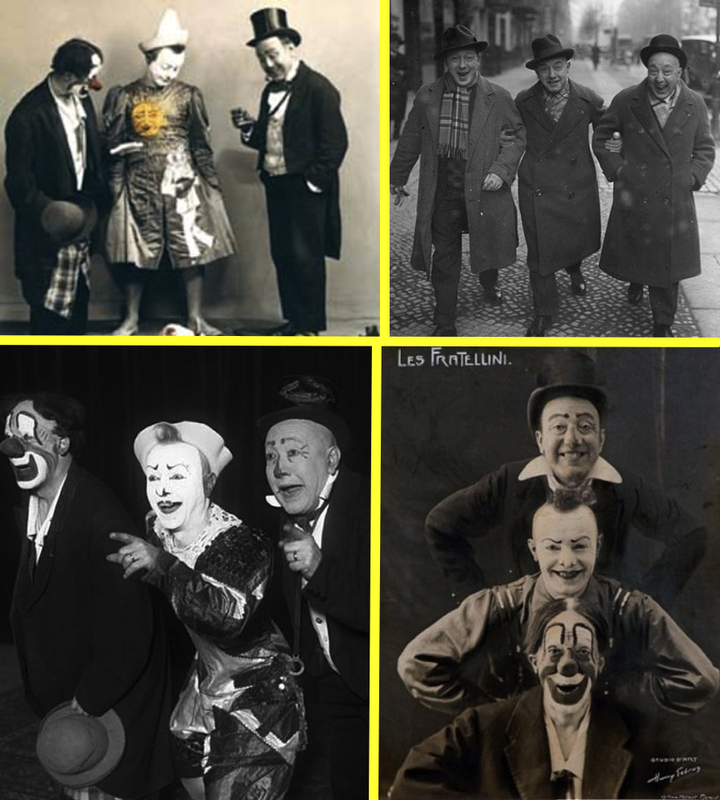 Kees Maks, Three clowns: the Fratellini brothers in the cirque Médrano, Paris, The Fratellini brothers (depicted in this lot from left to right Paul, François and Albert) were a famous clown act in Paris from 1902 to 1924 in the cirque Médrano. Maks depicted the popular trio on many occasions. Believe it or not, my Uncle Don is actually a clown. He can make a quarter disappear behind your ear, a giraffe from a balloon, and a Queen of Hearts appear from a deck (guessed correctly). His stage name is “Stinky” and he performs with his brother who goes by “Finky”. They dress in a style of clown costume called The Tramp or The Hobo. Whereas most clowning inventions hail from France, The Tramp and Hobo clown type is truly a North America creation. James McIntyre and Tom Heath are credited with the creation of the tramp clown characterization in 1874. The history of clowning itself dates back to the days of the Egyptian Pharaohs wherein the role of clown (or jester) was also considered as high advisor and sometimes priest. 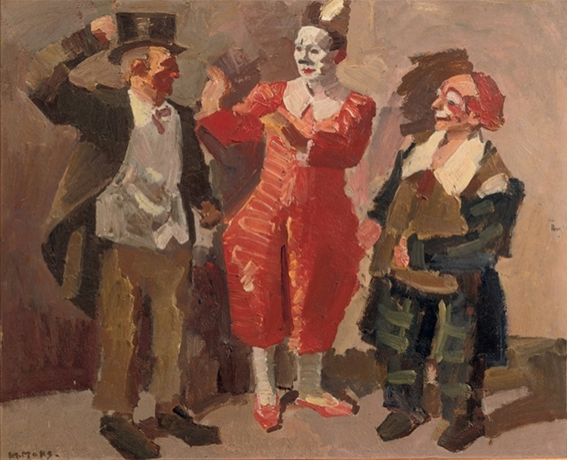 To become a full fledged clown, academies exist that will train amateurs in the art of Auguste, White Face (grotesque, neat, European), Harlequin, Rodeo, and Tramp. When a clown performs, his act is referred to as his framework. It was not until my uncle joined the Shrine Circus that I realized circus clowns have a rich academic history. A clown has always played a major part in social histories as a respite from wars, depressions, and the hardships of daily life. Austrian- born, American sociologist, Peter Burger, writes in his book Redeeming Laughter: The Comic Dimension of Human Experience that “It seems plausible that folly and fools, like religion and magic, meet some deeply rooted needs in human society”. The clown also plays an important part in the history of vaudeville, physical comedy, and acting techniques. So how does the melancholy, mystery, humor, and colorful behavior of clowns translate into a room? Written by American author Jacqueline Susann, and published in 1966, Valley of the Dolls tells the story of women coping with uber-rich-socialite world, trapped in the Feminine Mystique lifestyle of 1945-1960. The women are dealing with the “problem that has no name”, attempting to find meaning through talent and rejecting the lifestyle of a housewife. The word “dolls” within the title refers to a slang term for downers and barbiturates used as sleep aids. Highlighting women’s self destructive tendencies, desperation for money, and sexual exploits, the book captures (via setting and scenes) the oeuvre of midcentury modern design perfectly. 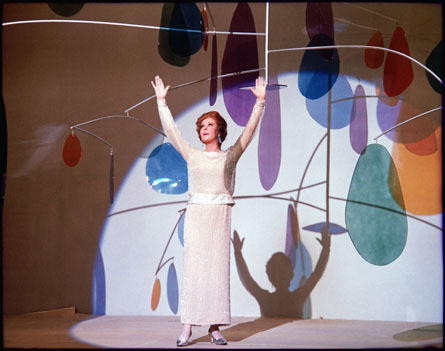 Now let’s see what midcentury design is out there to buy in the year 2012 (for relatively cheap). If you have a million dollars to spend casually, I would highly recommend Design Within Reach. Basically everything they sell is innovative, slightly retro, perfection. Midcentury is an architectural, interior and product design field that generally describes mid-20th century advances in modern design, architecture, and urban development from roughly 1933 to 1965. This genre of design was highly influenced by organic architecture, and the patterns represented often amorphous, almost animalistic shapes. Function was an extremely important aspect when designing the items, as the American family did not have extra income for spending. The aesthetic is greatly influenced by post-war materials, and lifestyle changes. Because of the heavy use of industrialization during the war effort, families sought to return to more individually manufactured and unique home state. Midcentury design can best be described as natural, democratic, and simple. 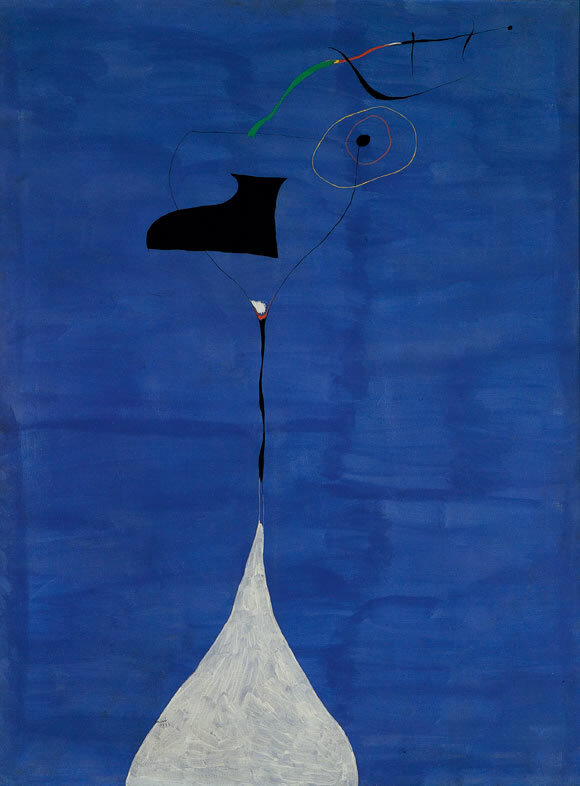 An amazing exhibition about the philosophy of midcentury can be found via The Museum of Arts and Design featuring a forward by the curator, here. And just for fun, this “stepford wives chic” style is slipping its way into the 2012 runways ala Oscar de la Renta (whose label was launched in 1965). The collection features rich embroidery, kitten tongue pinks, exaggerated hair teasing, heirloom brooches, icy blues, luxurious textures, opulent fabric, and a youthful glow. 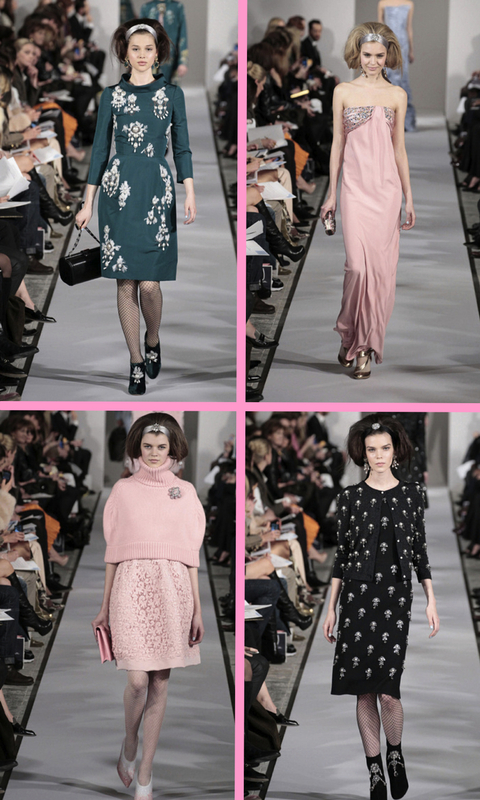 Oscar de la Renta Fall/Winter 2012 Collection at New York Fashion Week. PETER STIGTER PHOTO.